Otros libros de Gerngross, Günter son Quick Minds, Activity Book With Dvd-rom, Quick Minds 6 Primaria. Pupil's Book, Quick Minds, 4. Posters, Quick Minds, 6. Posters, Quick Minds, Level 3 : Flashcards, Quick Minds, Level 1 : Flashcards, Quick Minds 4. 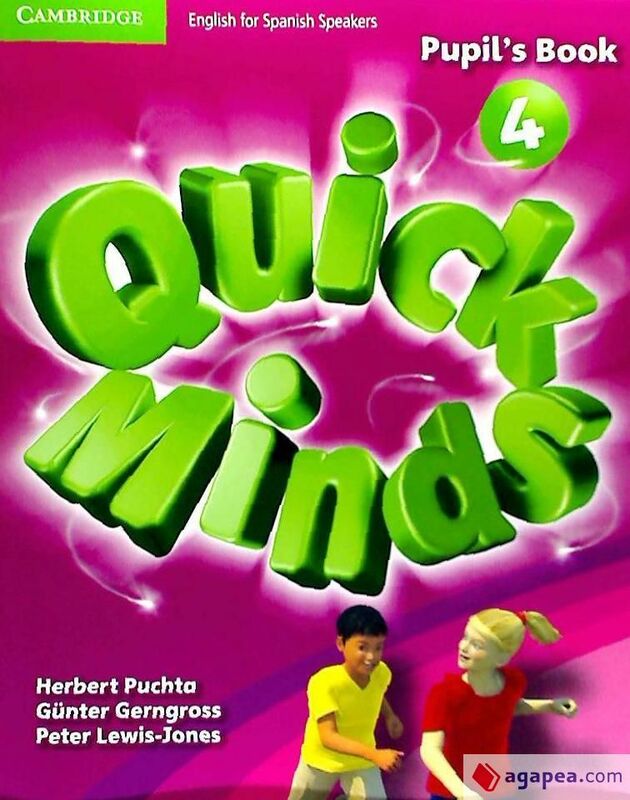 Wordcards y Quick Minds, Level 3 : Wordcards. .
Otros libros de Puchta, Herbert son Citizen Z A2 Student's Book With Augmented Reality, Citizen Z B1 Student's Book With Augmented Reality, Citizen Z B2 Video Dvd, Citizen Z B2 Class Audio Cds (4), Citizen Z Pre-intermediate, B1 (cd), Citizen Z B1, Citizen Z, B1+ y Citizen Z Intermediate. B1+ (cd). .
Otros libros de Lewis-Jones, Peter son Citizen Z B1+ Student's Book With Augmented Reality, Citizen Z A2, Citizen Z B2 Student's Book With Augmented Reality, Quick Minds, Level 1 : Wordcards, Quick Minds, Level 2 : Class Audio Cds, Quick Minds, Level 5 : Posters, Quick Minds, Level1 : Class Audio Cds y Quick Minds, Level 3 : Class Audio Cds. .
Six full practice tests plus easy-to-follow expert guidance and exam tips designed to guarantee..
Los autores de este libro, con isbn 978-84-8323-546-1, son Herbert Puchta, Peter Lewis-jones y Günter Gerngross, esta publicación tiene ochenta y ocho páginas.